Emily had one last chance to get it right. She’d always wanted to live the D/s lifestyle, and she tried other relationships before her dreams finally came true and she met Sterling, the renowned Dom. In Sir Sterling, she found what she hungered for, someone who understood her wants, needs and desires, better than she understood them herself. But, terrified of what he demanded emotionally, Emily succumbed to her fear and fled, only to realize the cost of living without him was too dear. Now, humbled and desperate for the chance to prove she can truly submit, she’s back. This time, she can hold nothing back. 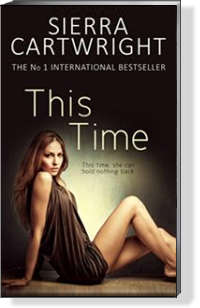 This time, she has to push past her own boundaries and give this commanding, powerful man everything he demands.